3 Beds 2 / 0 / 0 Baths 1,224 Sq. ft. 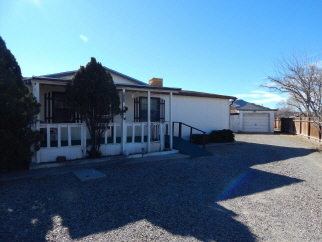 Description: Home is located perfectly with easy access to the freeway and minutes to albuquerque. Three bedrooms, 2 full baths and 1,224 sq ft with a 1-car garage. 2 sheds for extra storage. Property is completely fenced. Convenient to walmart, walgreens, home depot, restaurants, theater.